Chances are, you already know some facts about Pacific Union College. Yes, we were ranked the “Most Beautiful College” by Newsweek in 2012. And yes, our student/teacher ratio is a remarkable 13 to 1. But what about lesser-known trivia and traditions? Here are 10 things about PUC that you probably didn’t know, and you’ll be smarter for knowing. It’s not uncommon to find new students ducking for cover during the first few days of school, specifically on weekdays at noon. They’re just acclimating to the air raid siren that is a regular occurrence on campus. Fortunately, it doesn’t have anything to do with natural disasters or World War II invasions. It’s simply PUC’s way of letting you know it’s lunchtime! The local emergency services use it as well, as a way to let the volunteers know that they’re needed. So it’s sort of like a dinner bell/bat signal. According to College Prowler, PUC has the number one rated intramurals program in the country! Intramurals is one of the fastest ways to get involved and meet new people while staying fit. We offer flag football, basketball, volleyball, softball, as well as some less traditional options like pickleball, flag football, and kickball. 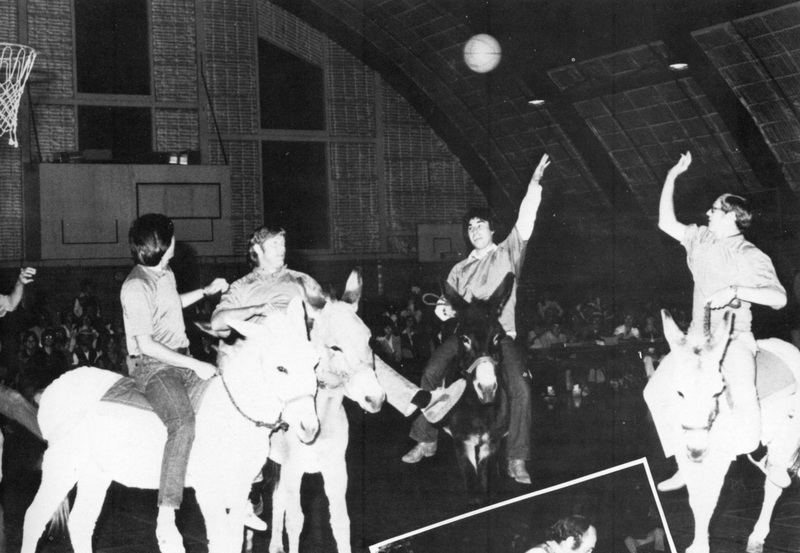 We’ve even gone as far as to play donkey basketball! As of October 2013, there were 1,326 active student jobs on campus filled by 833 unique students, since some have more than one job. That’s a little over half of our entire student body that is currently working on campus. But you know what they say – Mo money, mo problems. 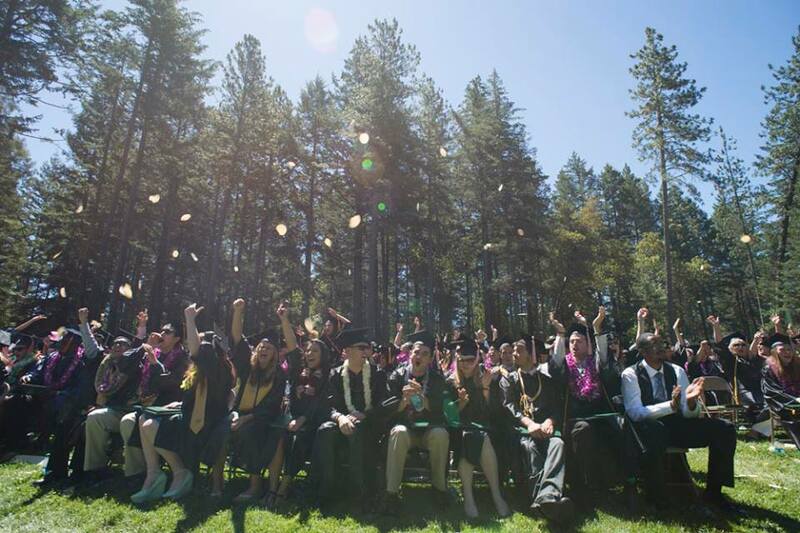 We aren’t sure exactly how it started, but it’s been a tradition at PUC for many years to throw tortillas in the air during the graduation ceremony. Bring some cheese and make a quesadilla while you wait! When the school moved to Angwin in 1909, they made sure to bring a few things with them. Among the precious school heirlooms was the original college bell, and legend has it that the bell is the nephew of the famous Liberty Bell. It’s a tradition for seniors to ring the bell when they finish their last final. That’s why, during finals week, you will frequently hear the old Healdsburg Bell ringing throughout the day (along with the soft weeping of students who still have more finals left). We started the 2013-2014 school year with the highest enrollment we’ve had in 24 years, which is pretty great! We have 1,678 awesome students on our campus this year and couldn’t be happier. For the 2013-2014 school year, PUC awarded students over $36 million in financial aid; $14 million of that amount was given in institutional scholarships, grants, and discounts. Most ATMs hold around $20,000, so that’s like 1,800 ATMs! We told you this blog would teach you some amazing things. Bearing a striking resemblance to Darth Vader’s helmet, the Rieger organ in the PUC Church stands about 50 feet tall and has over 4,700 pipes. 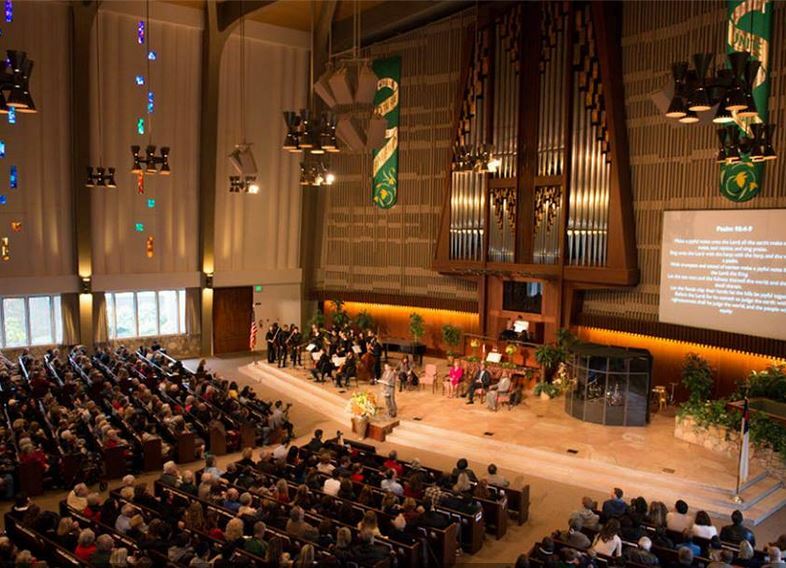 It’s one of the biggest mechanical tracker action pipe organs on the west coast, and it’s worth about $1.5 million (roughly a quarter of the cost of an Imperial Star Destroyer). One time a student skied down to the cafeteria. We’d tell you more, but that’s all we know. So there you have it: 10 things that you never knew you needed to know about PUC. Stay tuned if you ever wondered what’s down in the steam tunnels!